After today’s soccer defeat for the Azzurri, I think I will be rooting for France to win the World Cup and thus writing a lot about French wines this summer. All kidding aside, as readers of this blog know, I was a Francophile before Italy stole my heart years ago and still have a long and intense love affair with the country. Today is a big day in Florence, my adopted city, San Giovanni, so I am just going to put a link to an article I wrote years ago about the holiday. Going back to the World Cup for a moment, I am scandalized by that bite from Suarez yet it doesn’t seem that Fifa is going to do anything about it. We’ll see. I think he should be banned from the World Cup and beyond. What kind of a message is that, bite your opponent? Don’t we try to tell children not to bite each other out of frustration…I’ll stop now on this rant. Back to the Loire it is then. Last year I had the occasion to attend the Society of Wine Educators conference in Orlando, Florida where Linda Lawry, DWS, CWE,CSS of International Wine Center fame gave a great lecture on wines of the Loire. Linda was a marvelous professor when I was studying for my Diploma in Wines & Spirits years ago. Funny and incredibly knowledgeable, she brooked no silly comments and during the lecture in Florida, she was much the same. The Loire is the third largest producer of Appellation d’Origine Protegee (AOP) wines after Bordeaux and the Rhone Valley and is the number one producer of AOP white wines. The Loire river is the longest one in France with four distinct growing regions: Nantais, Anjou-Saumur, Touraine and the Central Vineyards. In terms of the market in the Loire, some 80% of the wine is sold through co-ops or negociants. Weather is an issue in the Loire and some of the hazards include spring frosts, heavy rains, hail and humidity. Soils are also somewhat varied with the Nantais showing sand, shale, and gneiss while Anjou and Saumur have more volcanic schist and slate. Touraine has considerable clay and gravel while the Sancerre region has chalk and the famed Kimmeridgian marl. About 55% of the wine produced in the Loire is white while 45% is red and 14% of that is rose. The Loire also produces a considerable amount of sparkling wine, second only to Champagne. 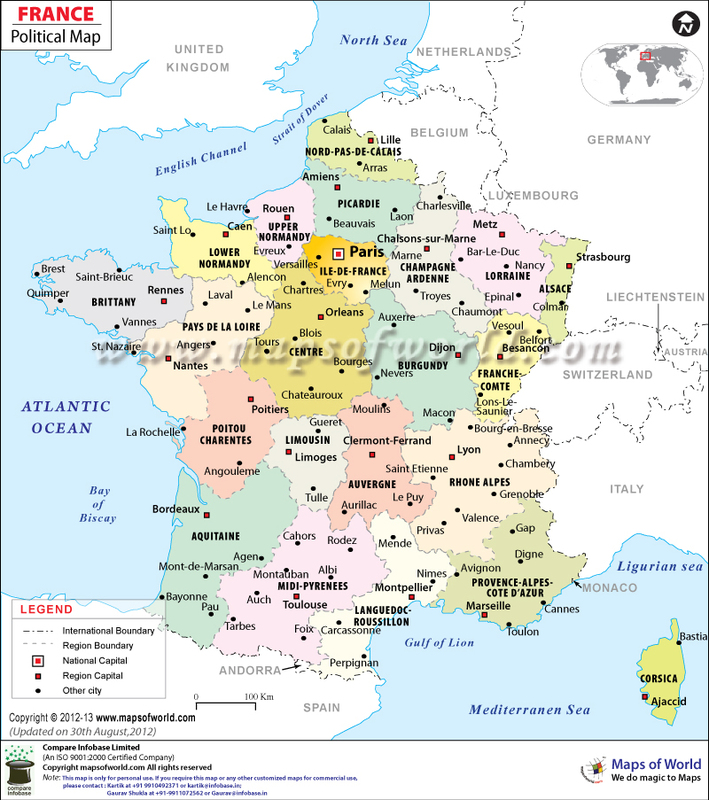 The wines we see from the Loire in the United States most often include Sancerre (Sauvignon), Vouvray (Chenin Blanc), and Muscadet (Melon de Bourgogne). I’ve had great wines made from Romorantin, another grape grown in the Loire as well as from Cabernet Franc, a personal favorite. Two indigenous varieties that only grow in the Loire are Grolleau and Pineau d’Aunis. The Nantais and the Sancerre regions produce mostly white wines while Anjou-Saumur producer 60% red wines and some of the world’s greatest sweet wines. Touraine makes both white, rose and red wines and much of the Loire’s sparkling wines. Travel to the Loire is always a great adventure. 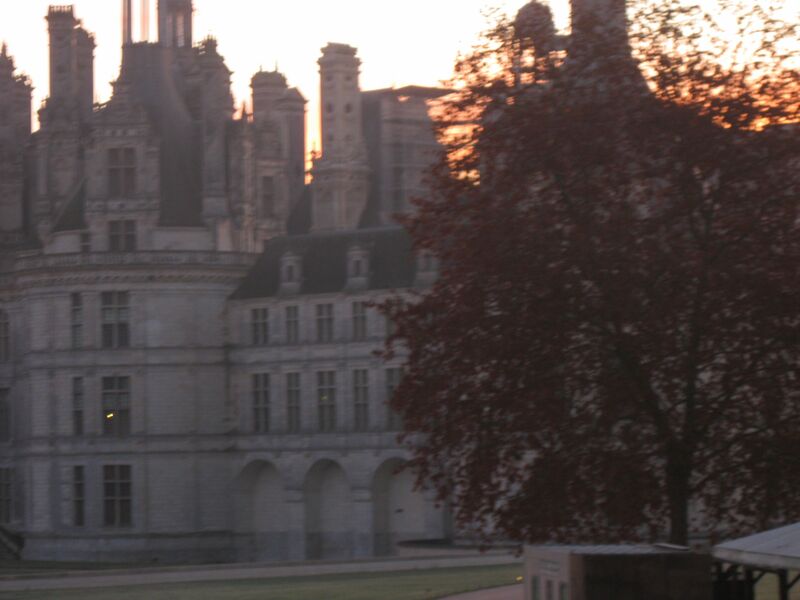 Relatively recently, I had the occasion to visit Chambord, one of the great estates. Always a pleasure. We tasted a number of stand out wines that day including a Vouvray from Domaine de la Taille aux Loups “Les Caburoches”, Michel Redde “La Moynerie” 2010, a Savennieres from Domaine des Baumard 2004 and a lovely Sancerre Rouge from Domaine Serge Laloue 2010. It’s hard to go wrong in the summer with a wine from the Loire, be it a Muscadet with shellfish or a sweet wine from Coteaux du Layon with dessert, this is also a go to region for great wines throughout the year. During the same trip that I went on to Chambord, I also visited St Denis, the scene of today’s mayhem in France. It was a lovely and vibrant part of Paris and knowing what is going on there today, in a place where all French kings are buried, is very surreal. I can’t stop thinking about all of the families struck by tragedy over the last week. One nice thing about this week is the show of solidarity and support across races, continents and nations. I know many think that only Paris is on people’s minds but I a) don’t think that is true and b) believe that is more because people can relate to Paris and have had experiences there not because some attacks are more striking then others.